Our 15-day join group journey from Nepal border to western Tibet Mount Kailash, Souther Tibet Mount Everest view will allow you to see the beauties of western Tibet including the three days trek at Mount Kailash, Chiu monastery, Lake Manasarovar, the Guge Kingdom ruins, Toling monastery, Tadapuri hot spring. Travelers will also enjoy the stunning beauties of tallest mountain on the earth ( Mount Everest ) and the Central Tibet Lhasa beauties. You will start the tour via traveling from Nepal Kathmandu to Nepal border with our partner travel agency in Nepal private jeep. 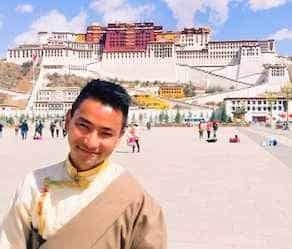 Tibet Travelers Tour Guide and Tour Driver will pick the Travelers from Kyirong border and travel to western Tibet. 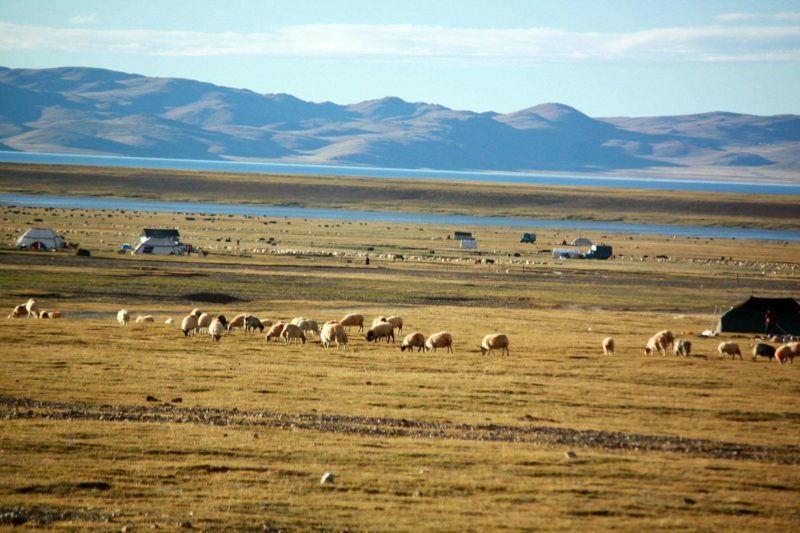 The western Tibet is home to Lake Manasarovar and Mt. Kailash. The 3-day trek around Mt. Kailash will certainly be a highlight! From western Tibet, you will then make the journey to Mount Everest viewpoint and travel to Lhasa. The 15 days tour from Nepal to Tibet is perfect for Travelers planning on traveling overland from Nepal to Tibet and travel to China or Nepal. Today our Nepal partner travel agency will arrange a private jeep from Kathmandu to Kyirong border town. The journey is around 180km but the road condition is not good so we highly recommend Travelers to travel very early morning from Kathmandu. Our Tour Guide and Tour Driver will pick the Travelers from Rasuwa border checkpoint between Nepal and travel to Kyirong and stay a night. Travelers can visit the Phakpa Lhakang Temple or do short hike if have time. From Kyirong after having some tea, we will travel to the Saga town. On the way, we will visit the beautiful nature of Kyirong and the hometown area of Great Yogi Jetsun Milarepa. Saga is one of the bigger towns near the Mount Kailash region. From Saga, we will drive back to see the view of Phikutso Lake once again and the stunning view of Mount Shishapangma (8021M) The only 8000M mountain fully planted in Tibet. From Old Tingri, they are three ways to reach Rongbuk monastery. From the old nomad route Nangmala pass, from the Gara valley route, and from Gawu La pass route. Most of the Travelers will chose the route from Gara valley or Nomad route since we will pass by Gawu La pass on the way to Lhasa. The high mountains, clean fresh rivers and small cozy villages are the highlight of today. After arriving at Rongbuk monastery, the final view point of Mount Everest. Travelers can choose to stay at Rongbuk monastery Guest house or Yak hair tea tents in the summer from May to October. No private bathroom and no shower. After breakfast, see the sunrise at Everest Base Camp then drive to Shigatse through the second scenic view of Mount Everest seen from Geu la pass, also known as Gawu la pass. 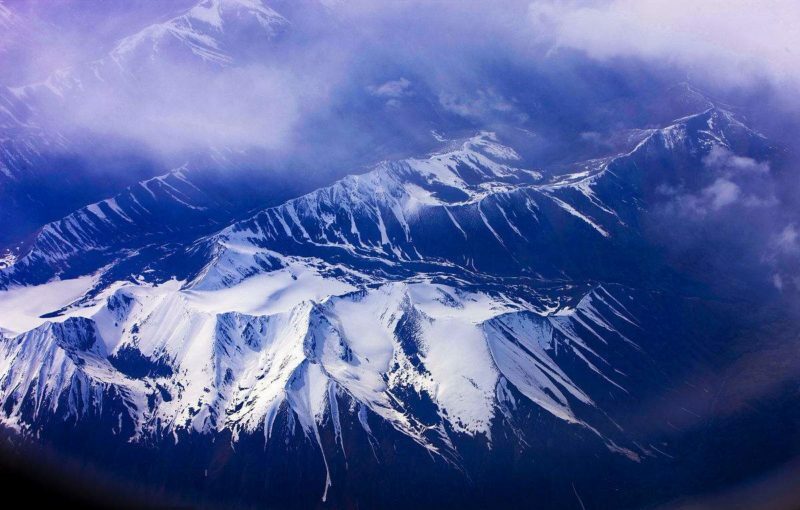 Travelers can see five mountains above 8000 meters. The mountains include Mount Everest (8844 meters, 29002ft) Mount Makalu (8463 meters, 27825ft) Mount Lhotse (8516meters, 27940ft) Mount Cho Oyu (8188 meters, 26906 ft) and finally Mount Shishapangma (8027 meters, 26289ft) This is the best view scenic point of Mount Everest. Travelers will also have a option to visit the Sakya Monastery. One of the authentic monastery in Tibet from Sakya schools of Buddhism in Tibet. Visit Tashilhunpo monastery in the morning with a short hike lingkor route from the back of the monastery to the Dzong fort. From the Dzong fort, Travelers can see the view of Shigatse city. After lunch, travel to Gyantse town with a driving duration of 1 hour 20 minutes. Visit Gyantse Kumbum Stupa and Palkor choede monastery, short hike at Gyantse Dzong, the scenic point of Gyantse town. After breakfast, see the sunrise at Gyantse town and travel to Lhasa via the stunning view of Yamdrok Lake, and Karo La Glacier near the Nagartse town. Yamdrok Lake is known as one of the favorite lake for many Travelers. 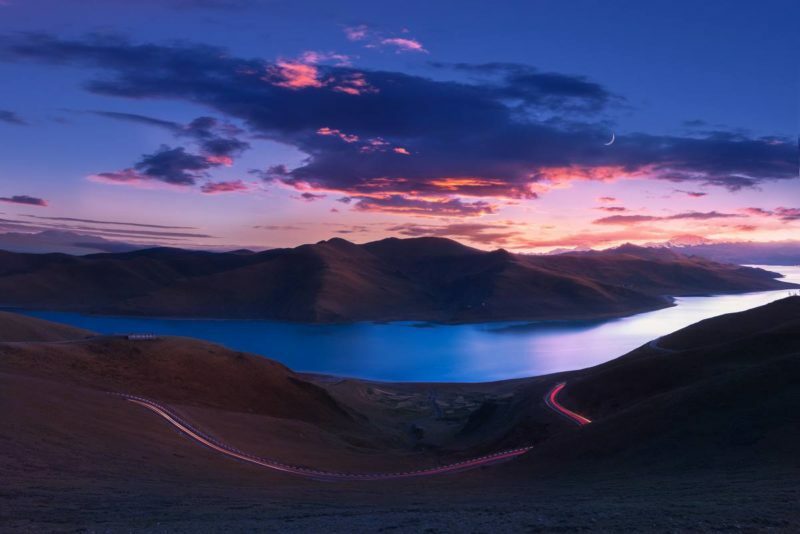 The blue color lake is goddess for local Tibetans. From Gyantse to Lhasa, the driving duration is around 6 hours in 270km. Today Travelers will visit the sightseeing inside Lhasa, Potala Palace, Jokhang Temple and Sera monastery. Jokhang Temple is known as the holiest Buddhist temple in all of the Himalaya. Each day, many thousands of Buddhist pilgrims come here to worship. Many have traveled well over a thousand kilometers by foot to see this 1400-year-old temple with a statue of Buddha known as 2600 years old and got blessings by Buddha himself. 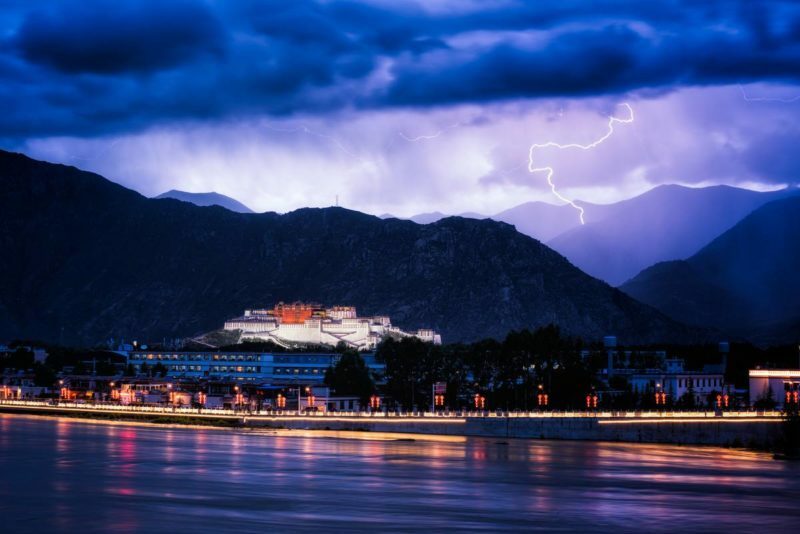 After Jokhang, Travelers will visit the massive 1000 room Potala Palace, the most iconic building in Tibet. You will work your way up the steps of the Potala and then go through the most important rooms in this famous UNESCO site. After lunch, you will visit the 600-year-old huge monastery complex of Sera. While at Sera, you watch the monks engage in entertaining Buddhist philosophical debates. In the evening, you will have free time to wander around the Old Town on your own. 80 queries in 0.275 seconds.